On April 1, 2018 Xu Yanjun, also known as Qu Hui was arrested by Belgian authorities. Three days later the United States filed a sealed criminal indictment in the United States District Court in Southern Ohio. The complaint was based on a March criminal complaint in the same district court aimed at Xu Yanjun and an unnamed co-conspirator. The case appears to closely parallel the case of Ji Chaoqun who was a Chinese national arrested a month earlier in September, 2018. Ji worked at the direction of a high-level intelligence officer in the Jiangsu Province Ministry of State Security, a provincial department of the Ministry of State Security for the People’s Republic of China. Ji is charged with recruiting top American engineers from American defense companies who were either of Taiwanese or Chinese birth. According to the US attorney’s office, Xu was lured to Belgium where he was arrested and then extradited to the United States where he has been charged in Federal court. Xu Yanjun is most likely the high-level Chinese intelligence official involved in the Ji case. According to the US Attorney’s office, Xu was the deputy Director of the 6th Bureau of the Jiangsu Province division of the Ministry of State Security of China. While Ji was indicated in Chicago, where he lived, Xu was charged in the southern Ohio Federal district, the home of one of the three companies that he allegedly operated against for purposes of economic espionage. That company, though not named in the complaint was General Electric, and General Electric’s Aviation Division is located in Evandale, Ohio, approximately 25 km (15.7 miles) from Cincinnati. The other two companies have not been revealed and are listed only as Victim 2 and Victim 3. Victim 2 appears to be Boeing, and it is likely Victim 3 is Honeywell Aerospace –but the names of Victims 2 and 3 are not confirmed. As far as the criminal charges against Xu, they only apply to Victim 1, General Electric Aerospace. General Electric is the sole global company that has developed composite materials for jet engine fan blades and encasements. This is an important commercial and military technology. General Electric manufactures its composite fan blades in a joint venture in Texas with France’s Snecma (Safran). This isn’t the first partnership between GE and Snecma. In 1974 GE and Snecma formed the jet engine partnership, CFM International. The venture has produced more than 36,000 jet engines primarily for the commercial market but a military version, known as the F-108 is in use in re-engined KC-136 refueling tankers and the E6B Mercury “Domesday” airborne command post. 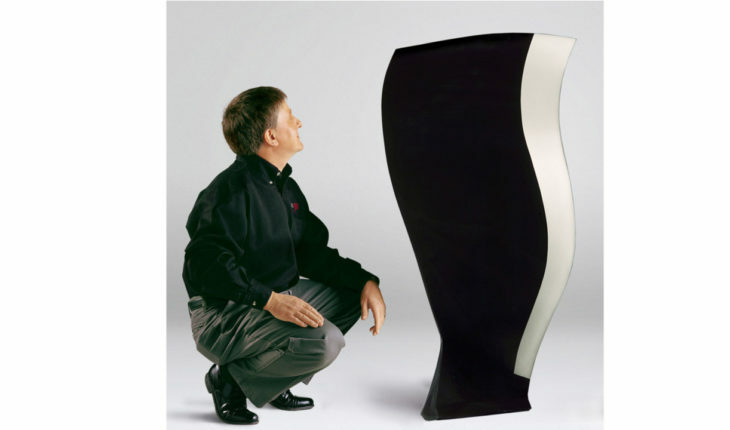 The composite fan blade joint venture is known as CFAN and was founded in 1991. It manufactures wide-chord composite fan blades and encasements in San Marcos, Texas. Its products are being used on the Boeing 777, the Boeing 747, the composite based Boeing 787 and the Embraer Lineage 1000. More importantly, it is the only company in the world today manufacturing composite fan blades and it is expanding into other engine areas (such as advanced fibers including carbon, Kevlar and fiberglass; thermoset resins including epoxy, BMI, and PMR15; and bonded structures containing metallic or composite honeycomb. CFAN also developed expertise and has capabilities in Resin Transfer Molding for aerospace engine applications). There are many advantages to using composites for fan blades if the technology can be mastered. Composites are significantly lighter than metal fan blades and help improve engine efficiency, fuel savings and range. They also allow the case surrounding the fan to be made from composites rather than heavier metal, because a composite case can successful contain a broken fan blade if it detaches. The GE fan blades have been extensive tested against bird strikes, hail and FOD (foreign object damage on jet runways, the same that destroyed the Concord Flight 4590 in 2000). Since the early 1980’s when China got four commercial jet engines from the United States (legally) and tried to reverse engineer them, China has been seeking to close a major gap in its jet engine manufacturing capabilities, seeking information on key engine technology including jet “hot section” know-how and, in the Xu Yanjun case composite fan blades. So far at least, China has fallen short: it still depends on Russia for military jet engines, and on foreign commercial companies for passenger and transport jets (some of which end up on military aircraft). NASA believes that the use of advanced composite for engine fan blades is an important technology for a new type of jet engine called the Exo-Skeletal Engine (ESE). ESE has commercial and military applications, especially in reducing the number of jet engine parts, including applications for commercial and military hypersonic aircraft. Mr. Xu and his Chinese interlocutors wanted to gain as much information as possible from an unnamed GE engineer who they attempted to recruit or actually recruited. These efforts ran from 2013 until this year –a five year time line that involved multiple trips by the engineer to China, transfers of information and attempts to have the engineer even download the file index from his company computer. It isn’t clear who the engineer is, what his exact role was, and how (or if) he cooperated with the FBI and other government agents. It is known, reading the complaint that the US government was able to intercept many of Xu’s messages even though he used different names on them and different messaging tools, including email. The other two Victim companies receive far less attention in the complaint, but they are big players in aerospace and high technology. Boeing manufactures commercial jets and a wide variety of military products including aircraft (for example the F-15 and F-18), military helicopters including gunships, and both the B1-B bomber and the new Next Generation strategic bomber program, just getting underway and of critical significance to China. Honeywell produces jet engines and many other aerospace products, but it is also involved in diesel engine variable nozzle turbocharging which could have been one of the Chinese targets. Honeywell believes this is an important technology for diesel engines that provides many benefits including reduced emissions and saving fuel. Whether it was China’s aim to get more access to Honeywell’s technology will only become clear if the the government reveals more about Chinese targets. What is important beyond the technology put at risk in this instance is that China continues to mount a sustained and powerful effort to gain access to American commercial and defense technology. For years the US government sat on its hands and did very little about the problem, believing (wrongly) that China was far behind the United States and wouldn’t be able to use what they stole; and also afraid that interdicting China’s technology acquisition effort would undermine trade deals. Today the US seems to have started to behave as if there really is a threat and the hemorrhage of technology needs to be stopped. Washington still has a very long way to go to block China’s programs that use every kind of known attack on the US technology base ranging from spies to cyber attacks. It faces some formidable obstacles: badly compromised cyber computer systems and networks and weak and ineffective export controls. Whether the Trump administration will continue its new initiatives and make a stronger effort than a few indictments remains to be seen.